Elite Auto Export Japan can rent you a vehicle for your very own Japanese Road Trip. We specialize in large 4wd 7-9 passenger vehicles such as the Nissan Elgrands. Every vehicle is 4wd, seats 5-9 people and comes with a roof rack/box and CD player. While they are not “new” models, but they are reliable, affordable and include 24hr roadside assistance IN ENGLISH. We can even provide an English speaking GPS if you’re planning on exploring around the Island of Honshu. Our cars can be picked up from Nagano Station or directly in Hakuba. 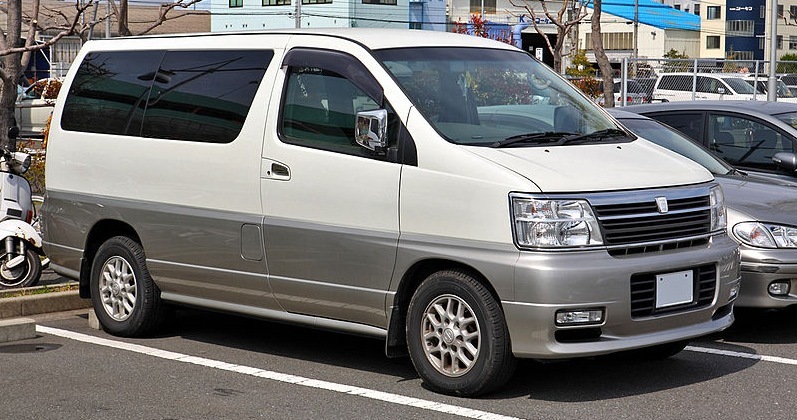 7-9 seat vehicles ¥10,500/first 24hrs and ¥8,400 each additional day. Repeat customers get a 10% discount on vehicle rentals. All rental rates include full liability insurance and tax. A valid 1949 Geneva convention International Driving Permit or Japanese licence is required to drive in Japan.